JReport 14 is an embedded reporting and visual analytics platform capable of supporting complex, demanding requirements. It includes a new Quick Start interface, delivering very easy to use self-service capability. 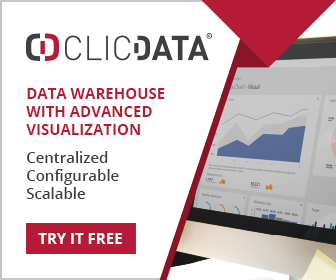 This is an unusual combination of features – support for complex reporting (including embedded graphics), visual analytics, self-service capability, and scalability that goes well beyond the norm. Some of the largest JReport installations deliver millions of reports every day! The traditional market for JReport has been the OEM and ISV, accounting for around two-thirds of business, and enterprise deployment accounting for the other third. The addition of Quick Start will increase the appeal for business users who want access to self-service functionality, while having the ability to build a sophisticated BI capability as skills and needs mature. JReport is best known for its powerful embedding capabilities, allowing OEMs, ISVs and enterprise users to embed business analytics into production applications. This approach to business intelligence places information precisely where it is needed – in the applications that are used every day in business operations. JReport provides several embedding options, and as the adoption of embedded analytics accelerates, so JReport will see broader uptake in the enterprise, in addition to its established markets. The inclusion of Quick Start in version 14 will add to the appeal for many business users. There is a large choice of graphs and charts, including heatmaps, organizational charts, spider charts – and so on. These come as part of the JReport platform, although there are plans to accommodate third party charting libraries such as D3. 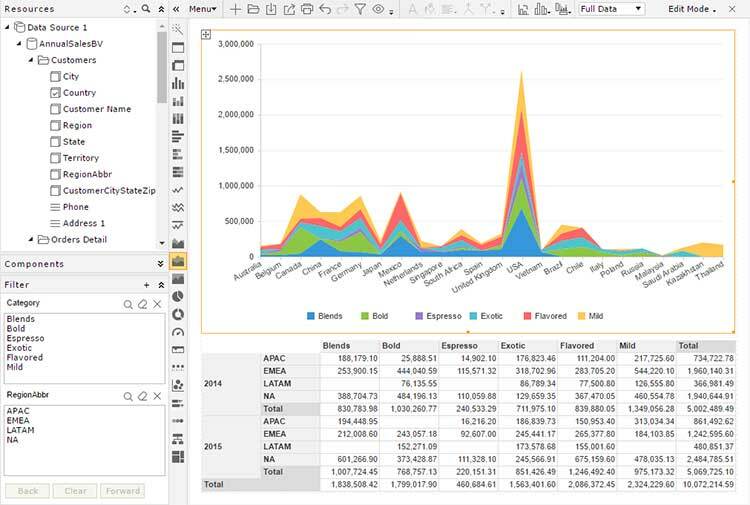 Quick Start is the new component in version 14, allowing business users to quickly develop their own charts, reports and dashboards, often with no more than a few clicks. JReport Server is an embedded reporting and analytics engine architected for clustering as well as integrated in high performance multi-tenant applications on premises or in the cloud. JDashboard provides a drag and drop dashboard creation facility with support for many types of reusable charts, tables, crosstabs and other components. Filters, drill down, trend analysis and so on are supported. JReport Designer supports a productive (via wizards and previews) report design environment. CSS style support is also available allowing style sheets to be used at run time. Jinfonet was founded in 1998, and is a rapidly growing, privately held business that is headquartered in Rockville, Maryland, USA.